The Internet will be in your contact lens. It will recog nize people’s faces, display their biographies, and even translate their words into subtitles. You will control computers and appliances via tiny sen sors that pick up your brain scans. You will be able to rearrange the shape of objects. Radically new spaceships, using laser propulsion, may replace the expensive chemical rockets of today. You may be able to take an elevator hundreds of miles into space by simply pushing the “up” button. I am proud to announce that the second season of “Sci Fi Science: Physics of the Impossible,” debuts next Wednesday, Sept. 1, at 9 pm, on the Science Channel (check your local listings for details). It was a pleasure working for six months with the Science Channel to produce 12 exciting episodes that I am sure will fascinate and educate the audience. 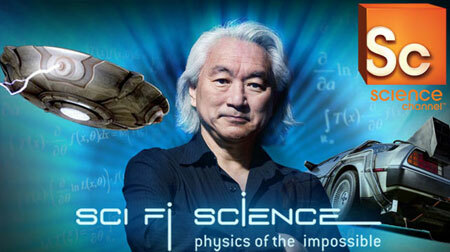 Visit the Sci-Fi Science website for more details about airing dates, episodes and even video clips. All you have to do is post your questions in the comments section on my Big Think Blog (Links Bleow). Some time in the near future, I will choose questions from each topic in the series and answer them on camera in another Big Think interview. 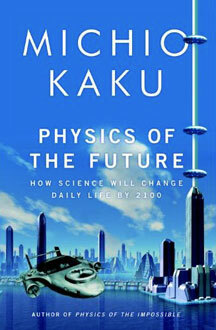 The final product will prominently be displayed on my Big Think Blog (Dr. Kaku’s Universe).